Here is a concept vehicle EROC. It is built on the platform of Land Rover Defender 110. I came to know original LandRover Defenders are going to be discontinued from 2015. They are going to redesign a new Defender. North America don't allow import of LR Defender due to their high fuel consumption and size. 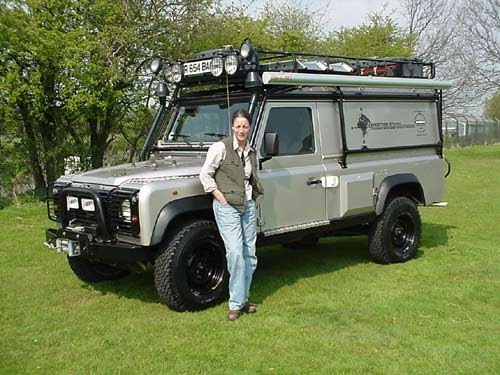 I like Defender so much due their rugged capabilities and many over-landers use this vehicle as expedition vehicle. So I made EROC on Defender's chassis platform. I made 3 of the versions: Fullsize SUV, Single Cab Long-bed Pickup, Double Cab Short-bed . The ground clearance is very big. The approach angle and departing angle are also big. So below are all the all 3 versions.